Entities that typically utilize AUPs include schools/universities, corporations/businesses, internet service providers, and website owners. It is commonplace for organizations such as these to require that users sign an AUP prior to being granted access the network. With the internet growing in complexity, it is essential to have users sign an AUP so that they are explicitly aware of what they are and are not allowed to do while connected to an organization’s network. 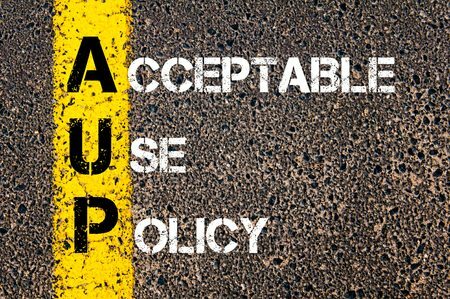 Included in a standard AUP are clauses specifying the purpose and scope of the policy, the user’s rights and responsibilities, acceptable uses, prohibited uses, and privacy standards. Having a good AUP in place will help bolster your organization’s reputation and productivity all while shielding you from lawsuits brought by users (i.e. an unfair dismissal lawsuit from firing an employee for misuse of the company internet can be avoided with a clearly written AUP). If you are an organization in need of an AUP, contact Traverse Legal today so that one of our skilled Attorneys can assist you in drafting an AUP that fits your particular needs.